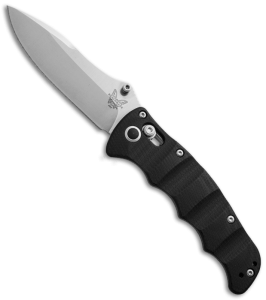 The Spyderco ParaMilitary 2 EDC knife is the best Spyderco for many and is highly sought after. This EDC knife is frequently out of stock and they are sometimes hard to find. It is a smaller version of the popular Spyderco Military, but the ParaMilitary has a few features that are different from the Military. The blade shape is a leaf shape and is flat ground. The blade comes to a very sharp point, and the tip may be a bit delicate in hard use. Make sure not to try to pry with the tip, as the tip is not going to hold up to that. For general EDC knife uses there should not be a problem. The 3.5″ blade is made from CPM S30V steel. The design uses G-10 scales with plenty of grip and and has a compression lock at the spine of the EDC knife. There is a large lanyard mount hole and a 14mm thumb hole to make it easier to open the knife while wearing gloves. It is built to be an efficient, lightweight EDC knife and features milled out steel liners inside the G-10 to keep weight and bulk low. The Spyderco ParaMilitary 2 EDC knife deploys smoothly and has a distinct and tight lock engagement. Much of the smooth deployment is due to the Spyderco bushing pivot system used in the ParaMilitary 2. The deployment is clean and repeatable and compression lock engages tightly and is easy to release when you want to close the knife. The ParaMilitary 2 is compact for the blade that is carries and the G-10 scales are textured to give a perfect balance of grip without feeling too rough. The jimping around on the spine and in the finger choil area give plenty of extra control and safety when needed. For a mid priced EDC knife, the fit and finish is excellent. Each area has purpose and there is no fluff or extra weight . As an EDC tool it presents very well. The Paramilitary 2 weighs a bit less than four ounces and rides quietly in the pocket. As an EDC knife, I prefer the black DLC (Diamond-Like Coating) or changing to a black pocket clip. The polished clip that comes with the un-coated blade versions is not very discrete if that is a concern. The clip position is good and the ParaMilitary 2 rides fairly deep in pocket. The ParaMilitary 2 is a legendary EDC knife and it deserves the praise that it has received as the best EDC knife in it class. 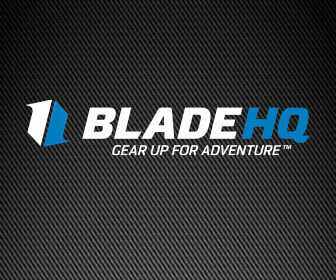 Spend $150 or more on Benchmade products and get a FREE $30 Blade HQ gift card. 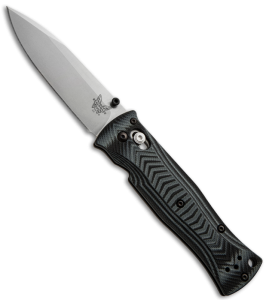 Offer applied to any qualifying purchase of Benchmade products. Just type “CM30GC” in the notes at checkout. Offer valid on orders placed online, and by phone December 1st through 3rd only. $30 Gift card will be sent to the email address provided on all qualifying orders. Gift cards will be sent on December 5th, 2014. Can be combined with other giveaway offers. Need a stocking stuffer deal? 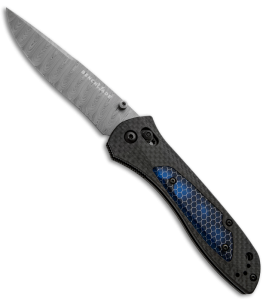 KnivesShipFree has the Kershaw Thermite 3880 for $10!!! 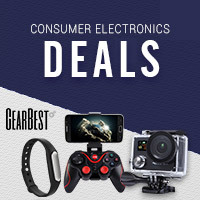 All you have to do is buy $100 worth of other stuff, add the Kershaw Thermite 3880 to your cart and use the coupon code 10DOLLARKNIFE We’ll take the price of the knife down to just $10. Here are some of the new Benchmade EDC knife models that will be released in 2014. These knives were introduced at the 2014 SHOT Show in Las Vegas and shared by our friends at Blade HQ. Some of my favorites are listed below. Many of these knives would make a great EDC knife for everyday carry and are available for pre-order by clicking the image or link. Enjoy! Editor note: This post was originally posted in January 2014. Since then we have obtained a 940-1 EDC knife and it is a thing of beauty. This EDC knife is the result of collaboration between Benchmade and McHenry & Williams. The 710 is a large blade but carries well. Features include a reverse curve blade and a reversible tip-up pocket clip. 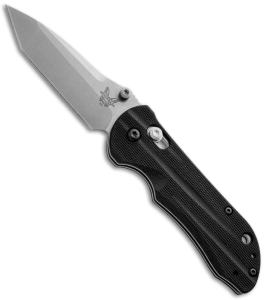 I have the Benchmade 710 in D2 steel and it is a great EDC knife. Look for a review in the near future. The 484 is the first Seichi Nakamura design to feature the AXIS lock. The 484 is equipped with ambidextrous thumb studs, a reversible tip-up pocket clip, and a G-10 handle with stainless steel liners. It may be a bit large as an EDC knife, but its best feature is the unique grip design. The 531 is a super lightweight EDC knife, but it is also very durable. It is based on the 530 Pardue model, and it features an AXIS lock, dual thumb studs, and a reversible pocket clip. The Benchmade 530 was my first Benchmade and it is still carried on minimalist EDC days since it is under two ounces and still handles daily EDC knife tasks very well. The 940-1 is the 940 you know and love but it has a black, carbon fiber handle, unlike the green handle you find on the original 940. 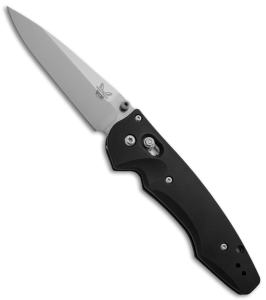 The 940-1 is a Warren Osborne design, and it has great comfort, ergonomics, and a slim, lightweight design. This is the perfect gentleman’s folder EDC knife and is super smooth. The Mini Stryker II is based off of the award-winning Stryker design. The Mini Stryker II is a manual folder and features the AXIS lock.